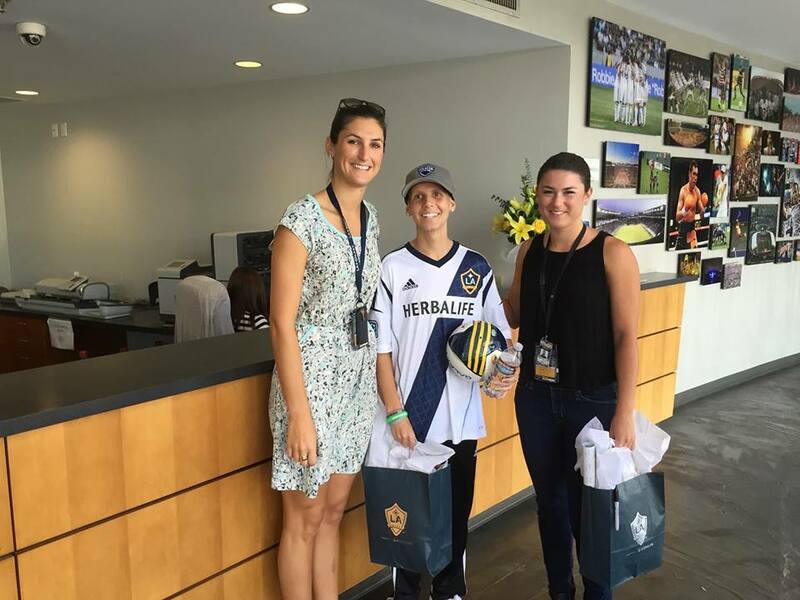 MVP Draft - Nathan and the Los Angeles Galaxy - Cancer Fit Inc.
Los Angeles Galaxy arranged for a special MVP day for Nate. 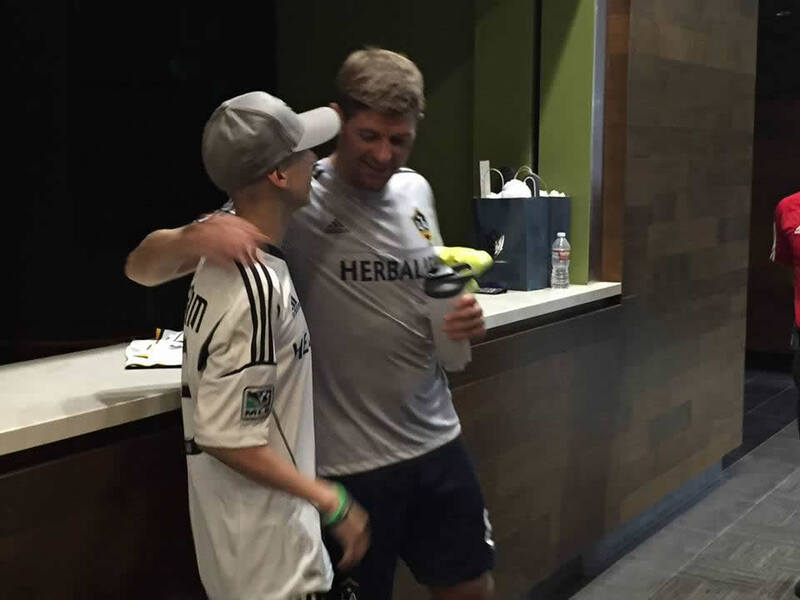 He was also given VIP tickets for dinner in the Stadium Club and on the field seats for game vs Montreal. 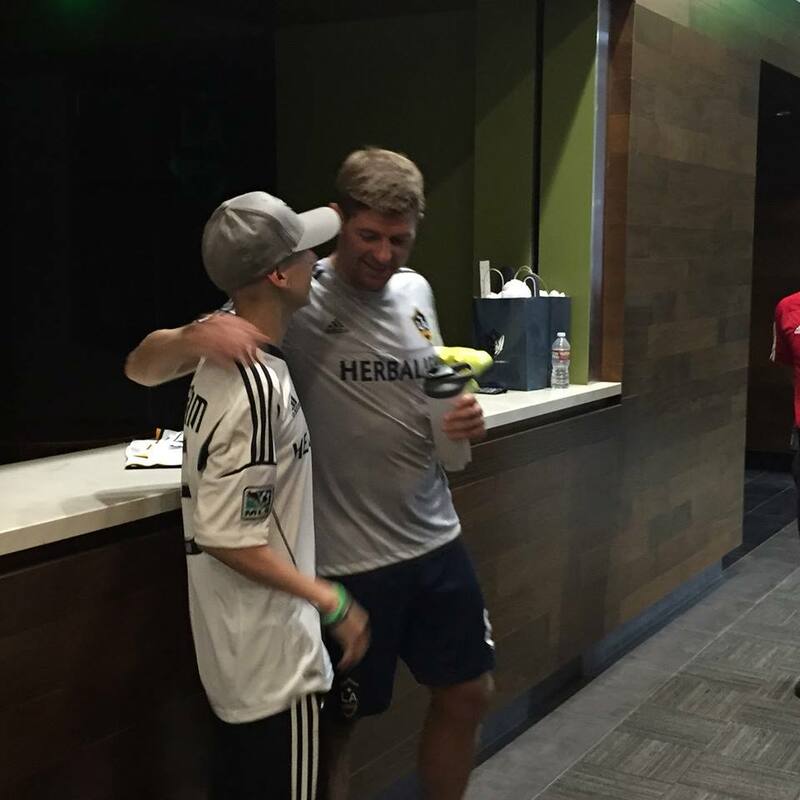 Such a classy organization with athletes and staff who are sincere and kind hearted. Special thanks to Lauren, Kathleen and Trey for making this happen. Steven Gerrard chats with Nate after training at Stub Hub. 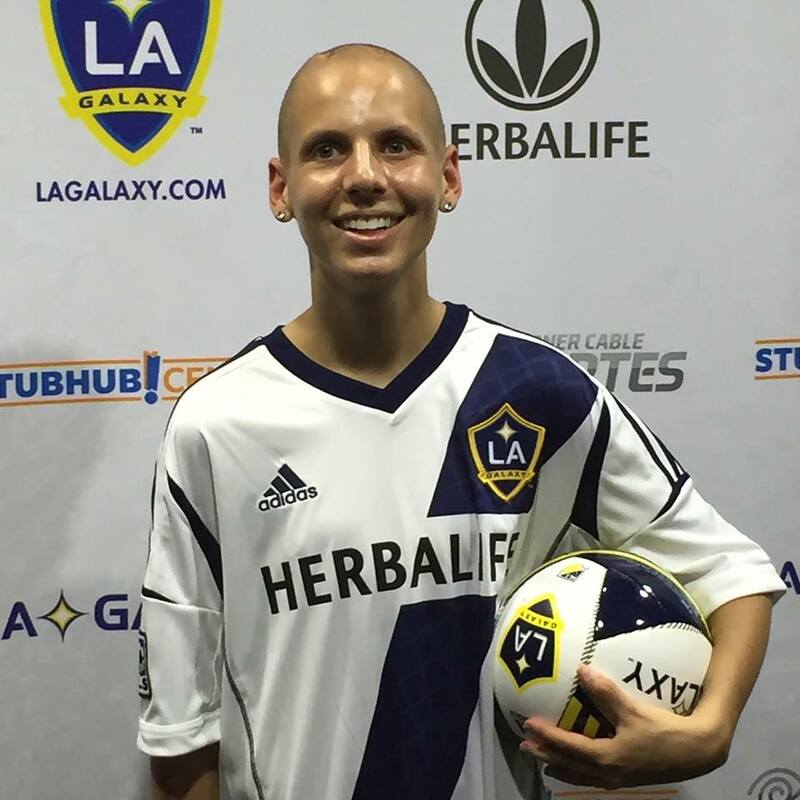 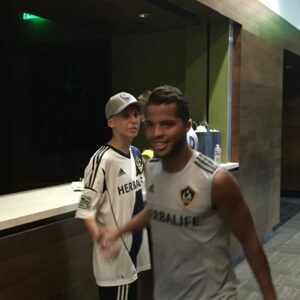 Nate the LA Galaxy MVP for the Day. Nate looks a little bit excited after meeting LA Galaxy/Mexican National Team star, Giovani Dos Santos. Personalized jersey before it was signed by each member of the LA Galaxy. 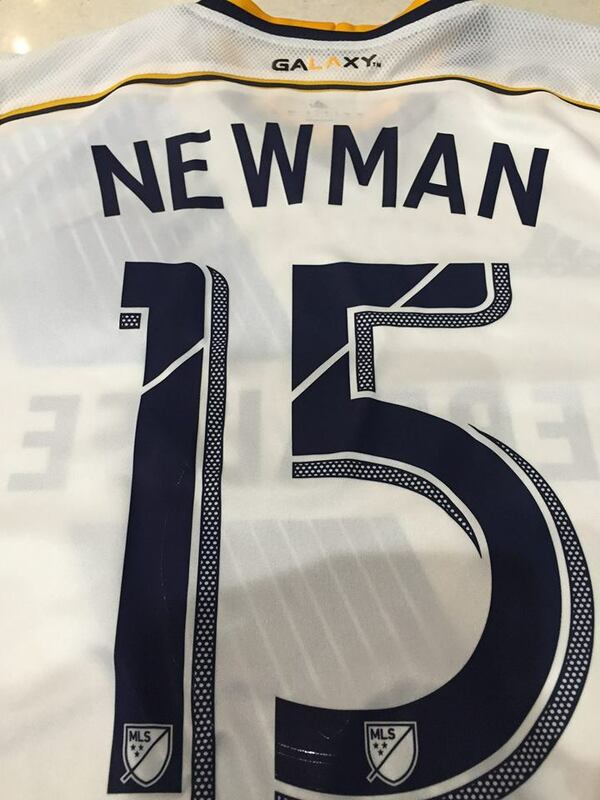 Nate showing off his personalized jersey during the Galaxy training session. 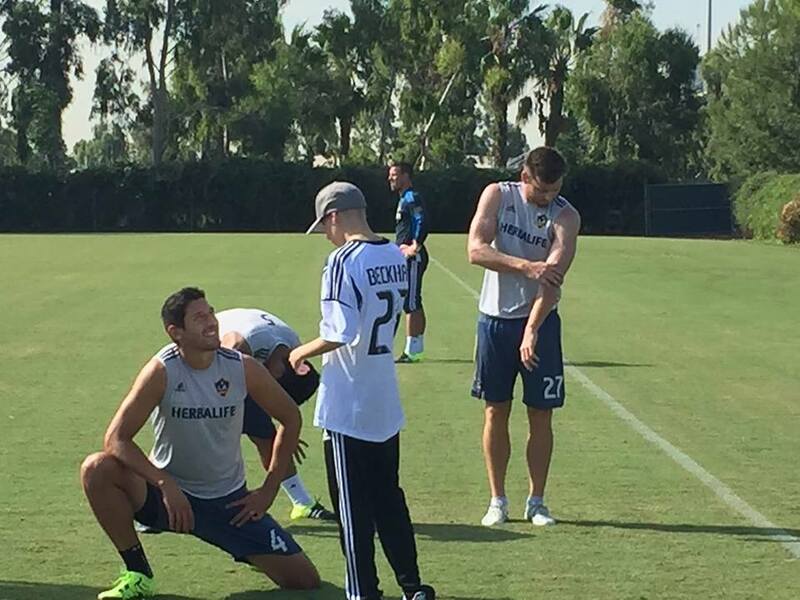 Chatting with LA Galaxy and US National Team defender, Omar Gonzalez.